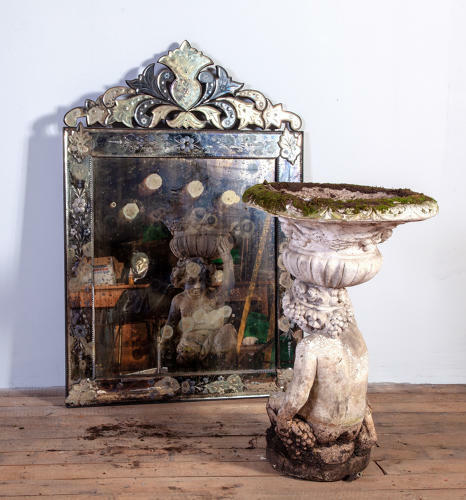 A Nice decorative example of a patinated and oxidized Venetian mirror. The elaborate glass crest above a bevelled and cut border enclosing a heavily patinated main plate. Dating from the Late 20thc. Very good condition.